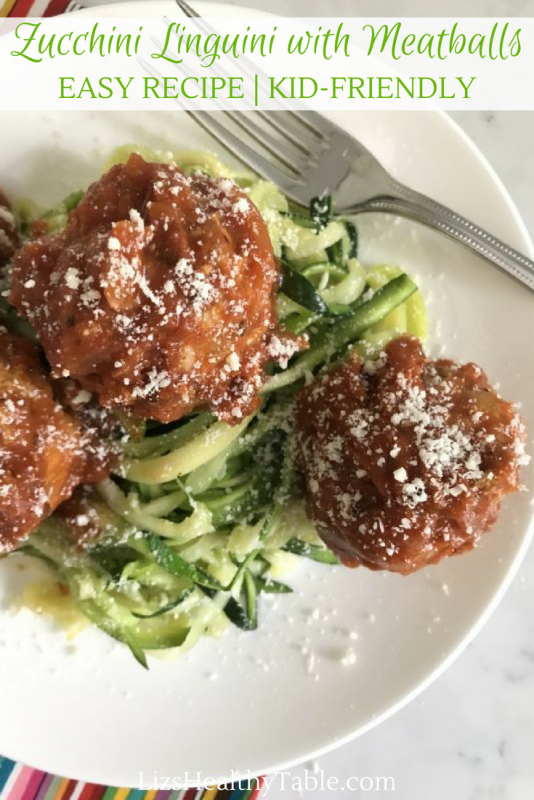 Add a healthy twist to classic meatballs and spaghetti with these flavorful turkey meatballs with zucchini noodles (AKA zoodles). 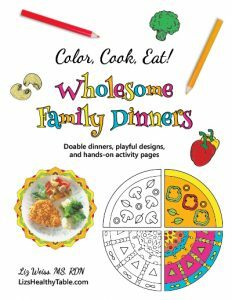 This recipe comes from Joy Bauer’s cookbook, From Junk Food to Joy Food: All the Foods You Love to Eat … Only Better. 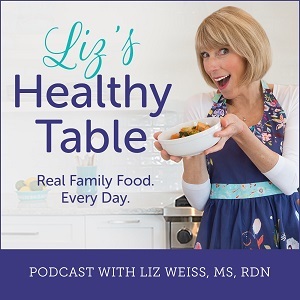 Joy and I dish about this recipe on Episode 30 of the Liz’s Healthy Table podcast. 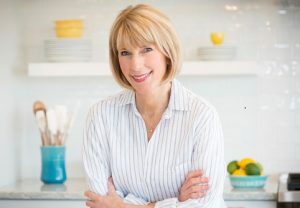 Tune in to hear about my tiny tweak (hint: I used Herbs do Provence for a big flavor boost) and why Joy and her family (and now mine) love the recipe so much. Click the PLAY button above to listen to my interview with Joy Bauer, MS, RDN. 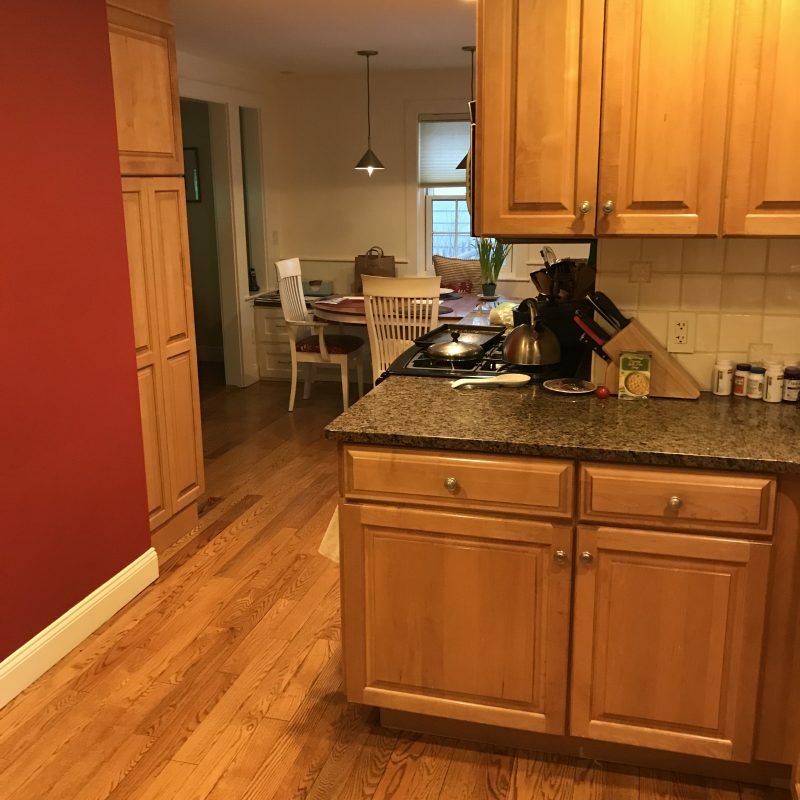 Every time I cook this recipe makeover of Joy’s, I’ll be thinking about my recent kitchen makeover. Tim and I decided to paint our kitchen cabinets white, which of course, opened up Pandora’s Box. 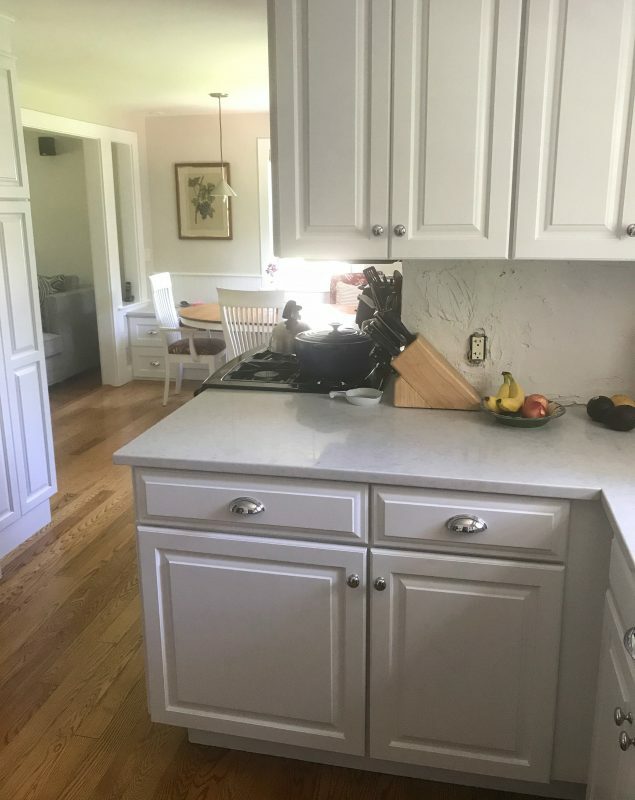 From there, it made sense to replace the dark counters with something a lot lighter, rip out the old tile and replace it with a simple white subway, and paint the walls. 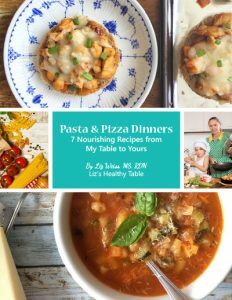 In the midst of the chaos as I was arranging my interview with Joy, I cooked up her zucchini linguini and turkey meatball recipe. 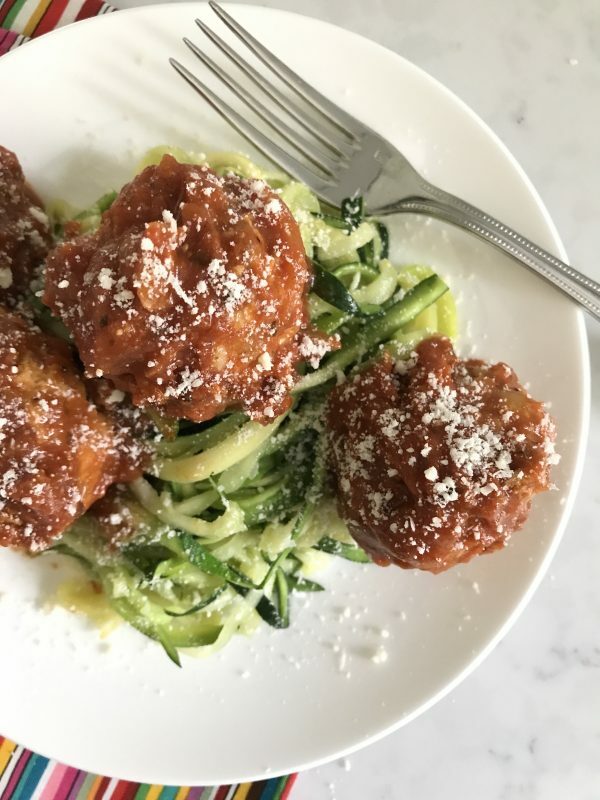 You could say that I christened my kitchen with Joy’s zucchini linguini and meatball recipe! 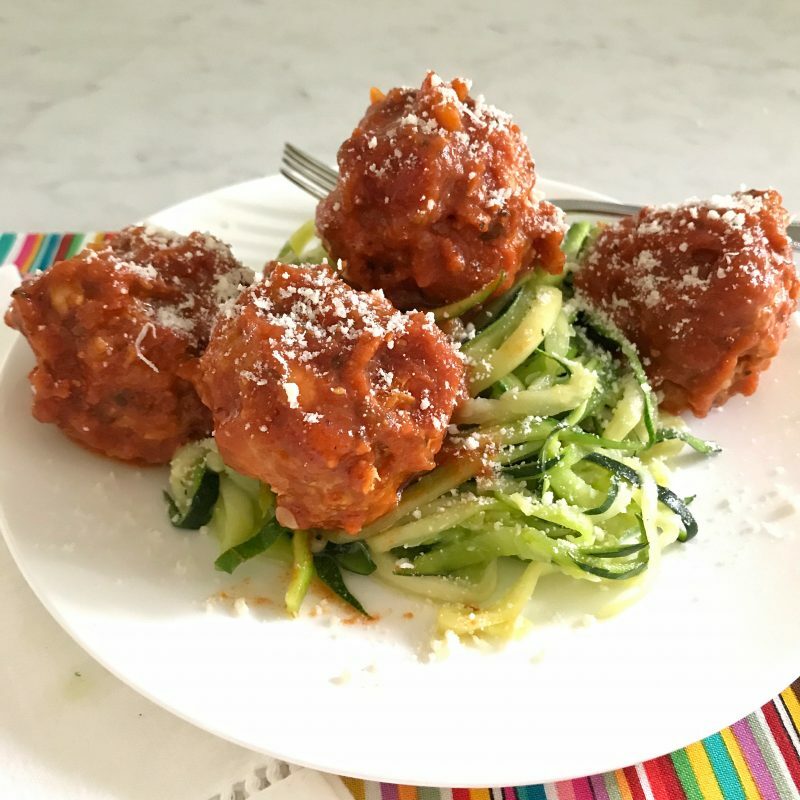 Joy says that using zucchini "noodles" instead of traditional pasta helps drive down calories and carbs while beefing up the fiber and nutrients. Prepping flavorful meatballs with lean ground turkey and heart-healthy oats makes this dish a better-for-you comfort food. And because this recipe yields a big batch of meatballs, you'll have plenty left over for future lunches and dinners. The recipe makes 34 meatballs, but you only need 16. 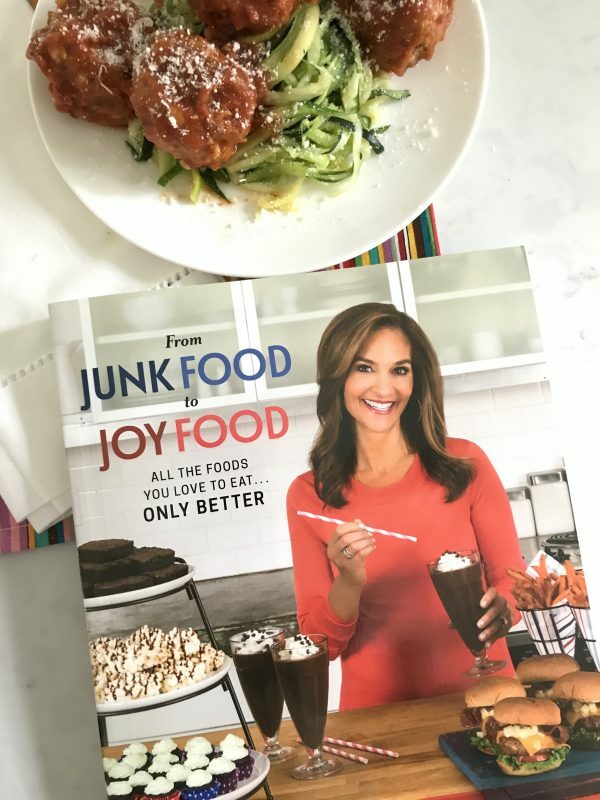 Hop on over to the Show Notes from this week’s show to enter to win a copy of, From Junk Food to Joy Food.